My favorite vacation destinations are Capri, Italy and my family’s summer home on a small island in British Colombia, Canada- it’s absolute paradise! HL Where are you from? What attracted you to LA? CC I was actually born and raised in Malibu. HL What attracted you to real estate? CC My love for Malibu and my desire to share all the unique aspects of this beautiful place. HL Who was your first mentor, and how did he/she influence you? CC My first mentor was Bibette Halverson. She took me under her wing and shared all her vast experience with me. CC My BlackBerry and my assistant, Tara Switzer. Otherwise, my life would end. I’m talking chaos and imminent doom! HL What were your yearly sales for 2006? Forecast for 2007? CC In 2006 it was $232,250,000, and I’m forecasting $400,000,000 for 2007. Only time will tell, so we’ll see. HL What is your most memorable deal? CC My first deal: it was over $5 million in 1994 to Richard Gere. HL Where do you live? CC Malibu, of course! Point Dume to be exact. HL If money were no object, what property on the market would you recommend in Southern California? CC Any and all of my listings. HL What is your formula for keeping your high-end and/or high-profile clients happy? HL Tell us one thing most people wouldn’t know about you. CC My passion for rescuing animals. HL What is your proudest achievement? CC Being able to buy two properties next to my parents who are my best friends. HL Where would we find you on a Friday night? CC Unfortunately, I’m usually in the office until around 7 pm, and then out to dinner with friends or family. HL What are your favorite vacation destinations and/or leisure activities? CC My favorite vacation destinations are Capri, Italy and my family’s summer home on a small island in British Colombia, Canada- it’s absolute paradise! HL Your forecast for the LA real estate market for 2008? CC There is no other place to live like Malibu, I foresee the Malibu market increasing in value. HL What are your personal goals for 2008? CC It’s hard for me to take time and enjoy my achievements and success. I hope to take more walks on the beach, and eventually start a family. HL In your opinion what makes LA so special? An Estates Director with Coldwell Banker in Beverly Hills, Jade Mills is widely respected among clients and peers for her honesty, loyalty, professionalism, and sincere devotion to serving buyers and sellers throughout the Westside of Los Angeles. Jade has received numerous awards for her sales achievements since beginning her career in Beverly Hills over two decades ago. Jade is currently ranked the #1 agent in the Beverly Hills 166 N. Canon office, and she is #5 in the nation of all Coldwell Banker agents. In 2006, Jade was also named #12 in the nation out of over one million brokers! Jade’s personality and style blend exceptionally well with the perseverance and stamina that has earned her a reputation as one of the most trusted and admired real estate professionals in her area. As an interior designer, a mother of four, and a member of the Chamber of Commerce and the Cedar Sinai Board of Governors, Jade possesses a natural repertoire of dynamic qualities that set her apart in today’s real estate market. JM I’m originally from the small town of Alamo, which is located in San Francisco. I met my first husband at UC Berkeley and he was a singer, so we came to LA for him to become a superstar. JM In 1975, I had been modeling and doing print work for magazines. At the time I was alone with a daughter, I needed an occupation that was much more stable. So when I sold my house, my real estate broker told me he thought I might be a great agent. I got my real estate license and I have loved it ever since. JM My first mentor was Spike Dresser. He had been a policeman before he started selling real estate. Since I was alone with a child, he convinced me that in real estate I could make my own hours and sell real estate around my daughter’s schedule. The truth is you must be available 24 hours a day to sell real estate. JM Family, they are always nearby and very important to me. JM I never keep track of my yearly sales. I was one of the top ten in the nation and celebrated my success at our convention, but to this day I do not know the statistics. My forecast for 2007 is to exceed 2006. JM My most memorable deal in real estate is always the last deal I’ve done. Every deal in real estate is memorable and I love the excitement of finding that very special property for every client. JM I live in a different home or condominium whenever you ask. We love to move and we love to remodel homes or condominiums. We love to have a new lifestyle, and then design a new one. JM If money were no object, I would probably buy the condominium I am living in at the moment. Not that it is the most spectacular or the most expensive property in the city but I love where I live. JM My formula for keeping all of my clients happy is honesty, hard work, and communication. JM One thing most people would not know about me is that I grew up as the daughter of a dairy farmer. JM My four children are my proudest achievements. JM Friday nights, my husband, my 13-year-old son, and I go to dinner and a movie. That’s our Friday night out. JM My favorite vacation destinations are Maui, Paris, and the South of France. I also love vacationing in Walnut Creek, CA with my brother, sister-in-law, and their two children. JM My forecast for 2008 is that it will only get harder to buy a home, because the prices will keep rising. In 1974, I bought my first home in the Beverly Hills Post Office area for $22,000. It recently sold for $1,750,000. My advice to all my clients is buy real estate; sell only if you have to. JM LA is a very special place to live, we have the theater, we have the ocean, we have the snow one hour away, and we have many different types of wonderful people. I love LA! 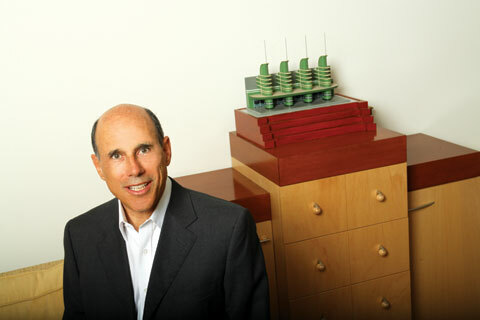 Stephen Shapiro, co-founder of the distinguished Westside Estate Agency in Los Angeles, has been a fixture in the Los Angeles luxury real estate market since 1980. WEA is a highly esteemed real estate brokerage firm that has represented buyers and sellers of some of the most prestigious, not to mention expensive, homes and estates in the most prominent areas of the Westside of Los Angeles. Stephen’s strong work ethic and his extreme dedication to his clients have made him one of the top realtors in Los Angeles. SS I was raised and grew up just outside of Philadelphia, PA. What attracted me to Los Angeles was when I was in high school, at some point I went to LA on a driving trip with some friends and just fell in love with it – it was just so different than the puritanical Philadelphia lifestyle. So I wound up going to UCLA one year for summer school and getting a summer job, and then the second I finished my last final in college, I just packed up the car and moved to LA. SS I was looking for apartments when I first moved out here and the ads for the apartments were completely different from the apartments when you saw them. So that’s what attracted me to real estate—the scarcity between the written word and the visual apartment, and that got me interested in real estate because I initially started a company that matched people looking for apartments with valuable apartments, and we did it with slides and photographs, as opposed to newspaper advertising, and it just grew from there. SS Well, I’d say my first mentor was a guy named Stan Herman. And prior to going into business with Stan Herman, I was exclusively leasing and he influenced me by showing me how I could get into high-end sales, which took me out of the leasing genre. SS My personal sales last year were about $275 million. I don’t generally have a forecast. I don’t plan things, but it looks like this year is as good, if not better than, last year. SS Well, my most memorable deal was an expensive Malibu transaction that was just under $30 million, and it turned into a commission battle with somebody who I thought was a friend. He represented the seller and he tried to take advantage of me on the commission. That’s the memory – not a good one. SS I have two homes: one in Beverly Hills and one in Malibu. SS I would recommend a listing that our office has in Malibu. It’s an extraordinary property on seven acres on a bluff with a road down to the beach. It has also a tennis court and four guest houses, stables, and it’s $75 million. So, if money was not an object, that would be the one. SS Contact. Making them rightfully feel that they’re the most important client that I’m dealing with. SS I’m an open book! I think everyone that knows me, knows everything about me. I don’t have any hidden attributes or negatives – it’s all out there. SS Having dinner with my family. Nothing fancy, but it’s what I enjoy. SS Well, vacation destinations – I love to go to Europe, Mexico. I love to be in Malibu. I spend the summer in Malibu. I also love to go on a great yacht. Leisure activities – I like to hike, I hike the Grand Canyon once a year. So there’s a lot of training [that goes] into that. I’m a basketball junkie, I go to as many basketball games as I can. SS I hate to be a contrarian to what you read in the paper, but our real estate market is strong and getting stronger in high-end in Los Angeles. There are just no properties available. There’s no more land and there are more wealthy people coming in to buy what’s available. So my forecast is strong and stronger. SS My personal goals are always the same every year: to be a better person, and conduct myself in a way my family and friends can be proud of. HL In your opinion, what makes LA so special? SS I think the same thing that attracted me when I moved here in 1969, which was weather; accessibility to great environments, whether it be water or mountains, within the closeness of Los Angeles; and more than anything, the people accept people that are different. You don’t have to put a suit and tie on to be accepted here. I think in LA, people tend to find out who they are, not what they look like. Jeff Hyland’s career spans 20 years as a leading real estate broker. In addition to being one of the first exclusive affiliates of Christie’s Great Estates, Inc., Jeff is also a past President of the Beverly Hills Board of Realtors. As an architectural historian, he assisted in the publication of books on Wallace Neff and Paul Williams. Clearly one of the most recognized real estate figures in all of Southern California, he was recently named “The Gatekeeper of Holmby Hills” by Town & Country magazine. He partnered with Rick Hilton to create Hilton & Hyland, a unique and dynamic combination of success, expertise, and experience where both principals, along with the entire staff, have distinguished themselves as sophisticated industry veterans who are committed to redefining personal service. JH My parents moved here because my father was a screenwriter. He wrote 19 motion pictures, so I was born and raised in the Little Holmby section of Los Angeles. JH As a native I was always attracted to the neighborhoods surrounding where I grew up. A love of exploring nearby communities taught me to appreciate architecture, and the two became the cornerstone for my passion of real estate. JH A devoted teacher at the Ojai Valley School instilled in me the love of California history. During my early years in real estate I began to focus on local history and subsequently it became such an important part of my career that today I have become an expert. My contemporaries in and out of the business have fondly referred to me as an architectural historian. JH Photos of my four-legged companions and my wife, Lori. JH My own personal sales for each of the last seven years have been nine digits and adding what I have given to agents in our office, the numbers sometimes become hard to believe. But then, not every transaction is at five percent. For 2007 we are up 30 percent and with the doubling of office space, we expect stellar years ahead. JH The sale of totally untouched Enchanted Hill, so named by Greta Garbo, to Paul Allen. It was 120 acres in Beverly Hills with the most commanding views from downtown Los Angeles to the Pacific Ocean. JH My wife forced me to buy TV producer Ralph Edward’s 1960’s time-warped home on a hilltop in Beverly Hills. We spent two years rebuilding and then furnishing in French Art Deco. Today we have a contemporary villa that is eight minutes to the office. I lovingly blame her every time we watch the sun set over seven mountain ridges all the way to Malibu. JH The Singleton Residence in Holmby Hills. It will be coming on the market soon and Wallace Neff told me it was the last great estate he designed before he retired. It sits on 5 acres with its own lake. Priceless! JH Personal attention and staying on top of things will guarantee happiness all around. JH I don’t party every night, and read more than 50 books a year. JH Building Hilton & Hyland into the most respected real estate boutique office in Los Angeles. JH Visiting almost any art museum anywhere. For quick escapes, it’s taking friends out on my boat. The captain pilots and I have as much care-free time as any guest. JH Because of the enormous new money finding its way to Beverly Hills, I foresee a very healthy residential market in the high end for years to come. JH Every year, it has been to slow down. Now that I can, I work even harder. Actually, my goal will be to publish my upcoming book, The Legendary Estates of Beverly Hills, the sequel to The Great Estates of Beverly Hills. I have completed the research, and photography will be finished in the fall. Rizzolis is going to publish. JH Everyone has a chance to succeed. We have no ruling families and Los Angeles is all about the future. Of course, we are also fortunate to have the best weather. Drew Mandile and his partner, Brooke Knapp, have over 60 years of real estate experience combined. 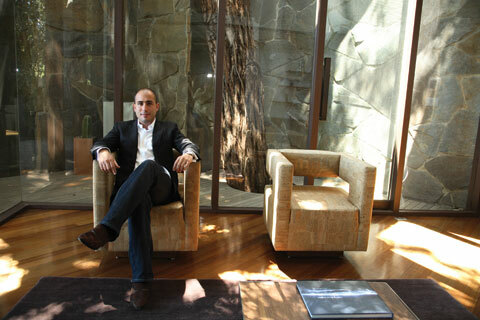 They’ve joined forces to achieve record-breaking sales at Sotheby’s International Realty since 1996. 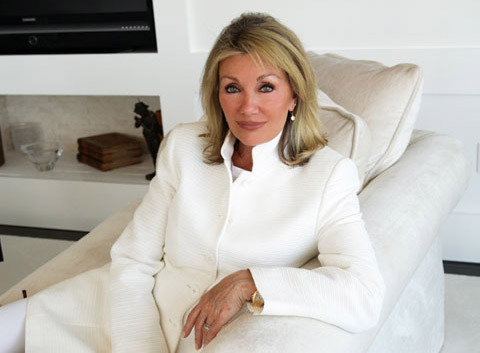 Drew’s real estate career has focused on the areas of Beverly Hills, Bel Air, and Holmby Hills. A member of the Beverly Hills/Greater Los Angeles Board of Realtors, he brings us great insights on the market, and shows us how his drive and perseverance in his athletic skills have transcended into his successful career. DM I was born and raised in Los Angeles. I attended all the local schools and enjoyed baseball as a little league champion and state finalist (with a Disney movie), a varsity high school third base ballplayer, ping pong champion at 10 &11 years old, surfer from Malibu to Santa Barbara, tennis player, and golfer…whew! DM After finishing school and two years as a psychological counselor, I packed up and traveled around the United States in a camper for a year at 23. In 1973, I decided that real estate was an interesting career idea to pursue. DM Brooke and I have sold $185 million in the past two years. DM Brooke and I self-sold three homes on the ten-acre property on South Carolwood Drive that included Owlwood, the Esther Williams home, and the Jayne Mansfield “Pink Palace” in Holmby Hills for a little under $35 million in multiple offers. DM Patience and cooperation…forget about the money. DM Four or five come to mind…Compiled the five lots together that built Fleur de Lys; self-sale of the 10-acres on South Carolwood; the sale/development and re-sale of Beverly Ridge 12 estate, guard-gated community off Coldwater; selling the 125-acre world class equestrian center; and the sale of the 260-acre Moraga Canyon in Bel Air. DM At home with my wife, Maria, two sons, two dogs, and mother-in-law at dinner. DM Surfing in Hawaii, golf at Bel Air and Tucson, tennis at Hidden Hills…simple. DM Continued renovation and rebuilding of the Beverly Hills, Bel Air, Brentwood, Palisades, and Malibu locations…and of course, rising prices. DM Help people improve their lives through real estate, sell 25 homes, run 28 miles per week, no double faults, shoot 80. DM The weather and proximity to the ocean/beaches, the mountains, the desert, and the talented people from around the world. John McMonigle and his talented team at the McMonigle Group, based in Newport Beach, have acclaimed national and international success. McMonigle made history over the past five years by totaling more than $1 billion in property sales. 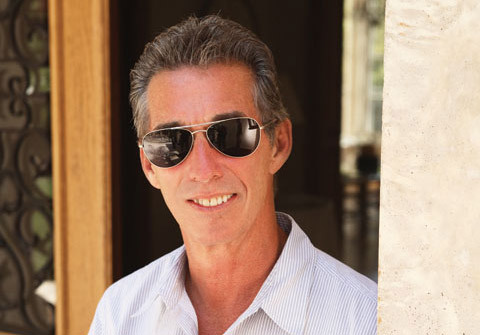 John is dubbed as the foremost expert in residential real estate as well as real estate developments. His expertise have landed him on the Oprah Winfrey Show, Access Hollywood, The Insider, and other major TV shows as well as print interviews. Take a look at the celebrity-realtor’s outlook on life and his profession. JM I’m originally from a small town in Oklahoma. The pursuit of better climate, economy, and real estate market attracted me to LA. JM I have been attracted to architecture since I framed houses in the hot sun as a teenager. JM Smile, it is important to have fun in this business. JM In 2006: $430 million… Forecast for 2007: $650 million. JM Villa del Lago, see Villadellago.com. JM Very simple: always looking for ways to raise the bar for marketing and service. JM Marrying my incredible wife. JM Date night with my wife, Robin, or home playing basketball with my sons. JM Palm Desert, Aspen, Cabo San Lucas, and Montana. I love playing golf and boating. JM I get paid to be positive and that is easy to do when you look at the fundamentals this market has. JM Achieve our clientele’s goals. JM The city’s entrepreneurial spirit. Known as the First Lady of Real Estate in Beverly Hills, Myra Nourmand has successfully sold and listed numerous properties ranging from $1 million to $30 million. While working with her husband, Stephen, and son, Michael, at Nourmand & Associates, Myra has built her real estate expertise in the luxury market. Her clientele is mainly composed of the entertainment industry’s moguls. Various television appearances, including The View and the Discovery Channel’s Hollywood Real Estate Homes, allowed Nourmand to gain trust and respect among her clients. With a new book due out in the winter, there is no sign of Nourmand slowing down. MN I grew up on the East Coast in New Jersey and upstate New York. After spending my high school and college years in Buffalo, NY, I met my husband, got married, and decided to replace the wintry blizzards and snow with warm sunshine all year round. The weather was one of the most important factors that attracted me to LA; however, the metropolitan lifestyle was also a contributing factor. 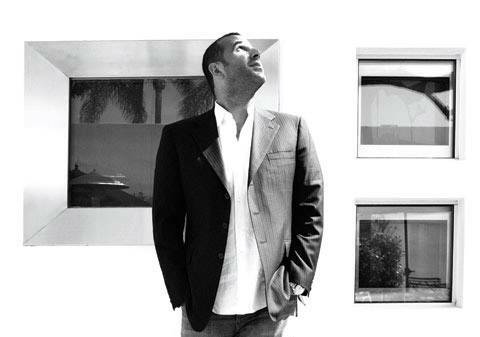 MN My husband, Stephen Nourmand, who started the company in 1976 as a high-end luxury real estate boutique. And since he lived and breathed real estate 24/7, it was an easy transition for me to become part and parcel of this family business. HL Who was your first mentor, and how did he or she influence you? MN Cell phone, client list/data base, and a big smile! MN My yearly sales for 2006 were just under $100,000,000 in residential sales. Projected sales for the first half of 2007 are $80,000,000. MN My most memorable deal involved a beautiful home in Beverly Hills which I was fortunate enough to sell four different times to four different celebrities in a matter of ten years and each time the ante went up one million dollars. MN Beverly Hills – where else? MN I currently have a trophy property in Santa Barbara with three acres overlooking the Pacific Ocean for $39,500,000. It is definitely a WOW! MN I recently wrote a book on how to sell high-end luxury real estate. It will be coming out in the winter of 2007. I have devoted a chapter on exactly how to keep your high profile and high-end clients happy, it’s called the 4 E’s of Real Estate – Effort, Expertise, Ethics, and Enthusiasm. MN That I am a very happy homemaker. I love to cook, entertain, and work in my garden, which is why my book From Homemaker to Breadwinner is such a perfect vehicle to share my success and know-how to other real estate professionals in the country. In another life, I might have been an interior designer, florist, or a clone of Martha Stewart. I love beauty, architecture, furniture, and gardens; it is an extension of my personality. MN My proudest achievement has been the success of my children. My daughter, Nicole, is a successful pediatrician and has blessed me with two beautiful grandchildren. My son, Howard, has a post-production company, which continually redefines cutting edge aesthetics for commercial, music video, and film. My son, Michael, who has joined me in our real estate company, was recently appointed as the youngest director of the Beverly Hills Board of Realtors, and is also actively involved in all aspects of real estate from selling to administration. MN Friday night is synonymous with family, friends, fun, and a feast of food. MN My favorite vacation destinations are Hawaii, Mexico, and Europe. My favorite leisure activities are reading, theater, and concerts. MN Prices will continue to go up in the high-end luxury market. The demand far exceeds the supply and you know the story of supply and demand. MN Making Nourmand & Associates the number one high-end luxury boutique in Southern California and keeping it as a privately held firm. MN I love LA. To me it encompasses everything one could wish for: fabulous weather, an incredibly diversified mix in its population which adds interest and variety to our city. We are so privileged to have so much culture available to us – the many museums, theaters, Hollywood Bowl, Music Center, and Staples Center. Where else in the United States are you that fortunate to be able to surf in the Pacific Ocean, get in the car and two hours later ski in the snow! Definitely a man of few but important words, Drew Fenton, a proud LA native, is already making headlines at the young age of 24. After successfully graduating from University of Southern California just two years ago, he quickly climbed up the ladder of success! At 18, while studying Real Estate Development at USC he decided to start working at Prudential to further enhance his knowledge of the field. Today Drew specializes in Estate Properties, a specialization that allows him the opportunity to explore his passion for architecture and design, while garnishing his library of over 2,000 books on the subject. DF I’m from Los Angeles. DF A high profile and unfortunately confidential deal. DF In a penthouse loft in Downtown. DF My newest listing, “La Villa Serena,” a $25,000,000 Beverly Hills Mediterranean view estate. DF Knowledge is power. The more they know, the better. DF I’m writing and editing a book about 1920’s Beverly Hills Architecture. DF Closing a $22,000,000 deal at the age of 24. DF Tokyo, and shopping for real estate as a leisure activity. DF Beautiful homes will always command a premium. DF Renovating my newest home. DF A diversity of personal style.